Personalize workspace comfort with temperature control and back support. 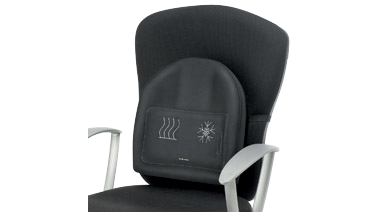 Gel lumbar pack heats up in microwave or chills in refrigerator for climate control. Adjustable strap with buckle. 14-1/2"W x 3"D x 13-5/8"H. Black.